‘When you look at your mother, you are looking at the purest love you will ever know.’ Only a mother can teach us the actual meaning of unconditional love and sacrifice. It would not be an exaggeration to state that one’s life is shaped by one’s mother. My mother is one of the strongest women on the face of earth. As such, she had many more lessons piled up for me over the course of years. She taught me how it is never worthwhile to lay back and complain but doing something about the matter at hand that really counts. She showed me how to take charge of one’s life. And if you have a strong mother in your life too, these things happen. Each one of us is scared at some point of time or another. But a strong mother raises you to overcome your fears, given the fearless woman she herself is. She inspires and motivates you to embrace all obstacles that come in your way. She knows your strength even before you are able to realize whether you have it in you. A strong mother will never let the words ‘I’m not good enough’ escape your lips. All in all, she fills you with confidence to the brim. A strong mother takes a great deal of interest in her child’s academics. She knows how indispensable financial independence is in the modern world, irrespective of whether you’re a son or a daughter. She is never hindered by generation gap because she clearly has her values set. She knows that hard work never fails to pay and she instills the same into her child. When you are brought up by such a woman, you can’t help but come out with flying colors wherever you go in life. A strong mother will teach you that there’s absolutely nothing you can’t do. However, that doesn’t mean she’ll alienate you from other people. When you grow up by her side, you’ll imbibe the value of empathy. A strong mother believes that human relationships change the world for the better, hence she will always encourage you to spread smiles everywhere you go. When I was a kid and I was grounded by my mother, I used to think ‘I will never talk to my mother again’. Boy was I wrong! She was the same woman who stayed up all night because I just couldn’t sleep (sometimes there were no reasons, at other times I was sick or had an exam the next day!). All strong mothers abundantly display this quality, and it’s for the sole sake of our well being that she does so. Things are bound to get tough at times. 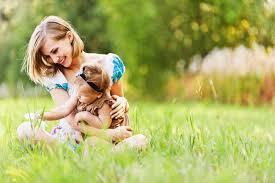 But with a strong mother around you, you learn to think with a mind which is not easily excited or agitated. And I tell you, those minds function better. A strong mother knows that when problems arise, the only thing that we are expected to do is to find out their solutions without losing our peace of mind. A strong mother never gives up but fights with everything she has. There are numerous things that take place in one’s life. Under such circumstances, looking back at the past never really serves anyone good. As humans, we are to err, learn a lesson and move on. A life spent in desperate attempts to move back the hands of the clock is not very worth it. A strong mother too experiences her share of blunders but that doesn’t stop her from looking ahead enthusiastically. When a child is mothered by a lady like this, he/she only takes the good things that life has to offer and carries on the journey. A strong mother is equipped to make the most of any given situation. She knows how vital it’s to be patient and to keep one’s faith intact when you are trying to get a job done. When one is reared by a mother like this, one learns that happiness doesn’t always come from external sources. You can be happy even when you struggle (with whatever it may be), provided you are chauffeured by faith and patience. 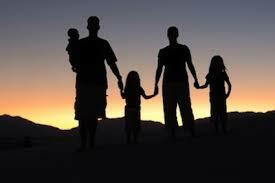 A strong mother will nurture her child in a way that would allow him/her to stand apart from the crowd. You learn not to get swayed away by popular opinion. Your upbringing and your conditioning has been so strong that you are perfectly capable of taking decisions on your own, thanks to your clear cut definitions regarding what is right and what is wrong. You wouldn’t mind treading the path less traveled by. You are trained to take chances and risks in life. Even when your face is traversed by acne and zits, a strong mother will never fail to remind you how beautiful or how handsome you are. She is moved by the beauty of your heart, nonetheless she makes you feel physically attractive when even the mirror tells you a different story, therefore inculcating confidence in you. 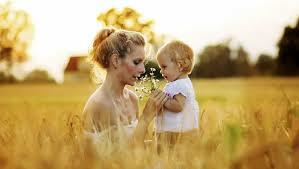 A strong mother will help you differentiate between the inner beauty of a person and the person’s beautiful appearance. You learn that no amount of outer beauty can compensate for one’s lack of inner beauty and vice versa. You eventually come to believe that outer beauty is endowed with a predestined niche and so does inner beauty. A strong mother’s faith in you never wavers even when the whole world stands against you. She teaches you what it’s like to have confidence in a person while things are astray. She will believe in you because she has a firm belief in the way she has brought you up. So you learn how to stick up for the persons that matter in your life, regardless of how others will judge your action. Though a list can’t amply reflect or gauge the influence of one’s mother in one’s life, I have tried to be comprehensive. Did I miss anything?